For the first time in history, the Nobel Prize in literature has been awarded to a Canadian. 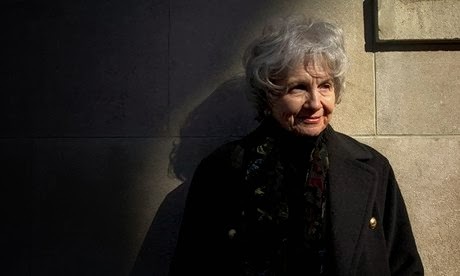 Alice Munro, one of the world’s most respected and admired writers, was announced this morning as the winner of the prize in an especially notable year: one in which she has announced her retirement. The 82-year-old author of 14 books of short stories is only the 13th woman to win the world’s most prestigious literary award. Earlier this year she announced her intention to stop writing, stating that her most recent book, Dear Life, would be her last. 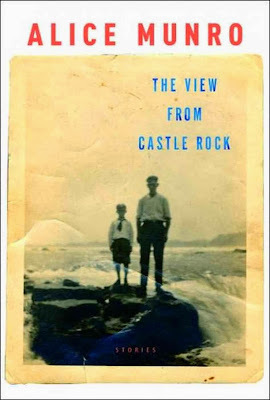 While it may be said that Ms. Munro has stuck simply to what she does, what she does is in no way simple – though, on the surface, it sometimes seems so: Her stories, frequently set in Southern Ontario, are often accounts of domestic situations and working-class people. But beyond their surface, familiarity. They are deeply psychological explorations of the complexities of contemporary existence. When reached Thursday morning, Brad Martin, president and CEO of Penguin Random House Canada, echoed the sentiment that Ms. Munro’s win is a remarkable thing for Canadian writing. But beyond our national pride, it’s simply the just recognition of one of the finest writers of our age. “I don’t think there’s a better short story writer in the world,” he said. Alice Munro grew up in Wingham, Ontario, and attended the University of Western Ontario. During her distinguished career she has been the recipient of many awards and prizes, including three of Canada’s Governor General’s Literary Awards and two of its Giller Prizes, the Rea Award for the Short Story, the Lannan Literary Award, England’s W. H. Smith Book Award, the United States’ National Book Critics Circle Award, and the Edward MacDowell Medal in literature. Her stories have appeared in The New Yorker, The Atlantic Monthly, The Paris Review, and other publications, and her collections have been translated into thirteen languages. Alice Munro divides her time between Clinton, Ontario, near Lake Huron, and Comox, British Columbia.